GJD assists E-Bound to develop an innovative detection system. GJD Manufacturing’s Partnership with E-Bound AVX Limited. GJD Manufacturing is pleased to announce a new strategic alliance with E-Bound AVX Limited. As a result of this new alliance GJD has designed and manufactured an electronic roof security system exclusively for E-Bound. Over 230 roof security systems have already been installed into churches and heritage sites throughout the UK. The system was developed as a solution to the growing issue of theft of lead and copper from church roofs. For criminals keen to cash in on the high price of scrap metals, places of worship often make an obvious target. 2011 was the worst year on record for the number of metal theft claims from churches. minimise disruption and reduce unsightly cable installation. 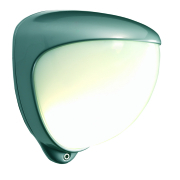 PIR motion detectors are being increasingly used within security systems as they can help to reduce false alarms. The sensors use infra-red detection as a trigger for the alarm, so if an intruder were to pass through, the sensors would detect a temperature differential. If triggered, the alarm activates a voice-enhanced sounder and strobe lights, and also relays immediate intrusion alerts to an NSI Gold Alarm Receiving Centre, who take action based on the building owner’s instructions upon installation – which can include the immediate despatch of security personnel. The system is specifically designed to detect and deter intruders before any damage is caused. It has been proven effective in trials at a number of theft hot spots including Dorchester and Dorset where it has been backed by the Diocese of Salisbury. Following the installation of the roof security system, there have been no metal thefts. The immediate alerts to an alarm receiving centre is particularly beneficial for buildings in more remote rural areas, where the alarm warns of danger but there may be no-one able to respond quickly or effectively. Highly effective at deterring metal theft as demonstrated in recent trials in theft hotspot areas. The system is specifically designed to detect any intruders before any serious damage is caused. 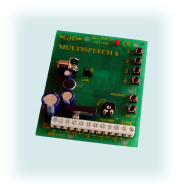 Reliable wireless transmission which has been designed to penetrate the often very thick stone walls. 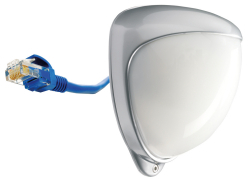 Passive infrared (PIR) motion detectors are well proven at preventing false alarms. If the security system is activated, a planned response based on your specific instructions is carried out – this is perfect for buildings in remote or rural locations.